Mobius Consulting is a mobile and wireless technology management consulting firm. Our company was founded in 2004, by a team of industry and academic experts with extensive knowledge of wireless networking, enterprise mobility, IoT and cloud technologies. We offer independent mobile and wireless consulting services ranging from technology strategy and system analysis to solutions and applications development, by leveraging our extensive experience in WiFi, 4G LTE, 5G, mmWave, RFID, RTLS, M2M and IoT. We provide our extensive knowledge and experience in mobile and wireless technologies, combined with our deep knowledge of target markets, including enterprise, telecom, healthcare, transportation, energy, logistics, supply chain and smart cities. Recent advances in mobile and wireless technologies have created new opportunities in the marketplace. It is now possible to completely transform the way enterprises operate and do business. This transformation will make businesses more cost-effective, more efficient and more productive. We anticipate that the emerging 5G wireless technology - providing enhanced mobile experience, massive Internet of Things (IoT) and mission critical communications - will redefine a wide range of industries. This will create new technical and business challenges that our wireless experts are ready to solve and provide innovative solutions. Our company’s principal consultant is Dr. Jacob Sharony, a 25-year technology and business veteran, renowned for his expertise in mobile and wireless technology strategy. He is an adjunct professor at Columbia University teaching wireless technologies and applications. Dr. Sharony has over 50 patents and numerous publications in prestigious journals and conferences. He also served on several government expert panels. New Course - mmWave Wireless Communications and Applications for 5G: We will shortly offer a new course on mmWave wireless communications. 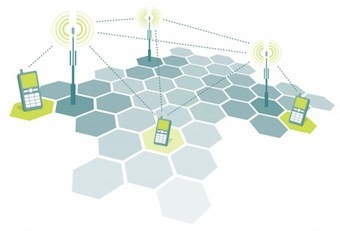 mmWave technology will be an important part of next generation 5G wireless networks. Stay tuned. M2M and IoT Wireless Networks: Dr. Sharony was recently interviewed for the MIT Technology Review on emerging M2M and Internet of Things wireless networks. Read the article. We Are Your Trusted Advisor for the Mobile and Wireless World!